Dalby Forest near Pickering is a must visit for walkers and cyclists. North York Moors National Park. 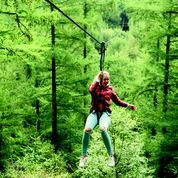 A outstanding area popular with walkers, cyclists, adventure sports lovers and nature lovers alike, the Forest is a popular tourist destination visited by around 400,000 people each year. Teeming with wildlife including many nationally important species, like the nightjar, soldier fly and pearl-bordered fritillary butterfly, along with badgers, roe deer and adders, it’s a wonderful place for nature lovers to explore. Mountain bikers, hikers and walkers can take advantage of miles of graded trails, suitable for people of all ages and abilities, centred on a popular main visitors centre, with cafés, shops and local craft workshops. You can also keep the kids amused in the brand new and extensive play area or try the Superworm trail. If you are interested in Bushcraft and Wildcraft then why not get in touch with Trailblazer Wildcraft who offer courses in Dalby with topics as diverse as fire lighting, shelter building and foraging. 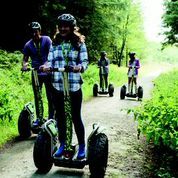 The forest is also home to the Go Ape Adventure Centre, with its treetop trails, forest Segway routes, and epic zip-lines, which offer unrivalled views across the Vale of Pickering. For full details click here. 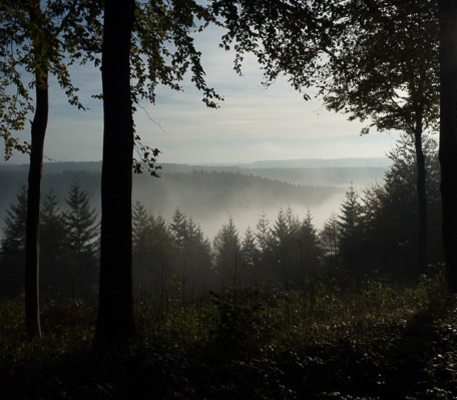 Dalby Forest hosts several special events throughout the year, including activity trails, stargazing, educational and historical events, and even ghost tours.